Wie würdest du deine Persönlichkeit beschreiben? How would you view your powers? Bist du ein Held oder ein Bösewicht? Was ist das wertvollere Instrument? Was ist deine Rolle im Superheldenteam? Ich arbeite nicht im Team. Du solltest Jean Greys telekinetische Kräfte haben. Your strengths come from your own mind, not unlike Jean Grey. Just make sure you keep it in check, rather than embracing your inner Dark Phoenix. 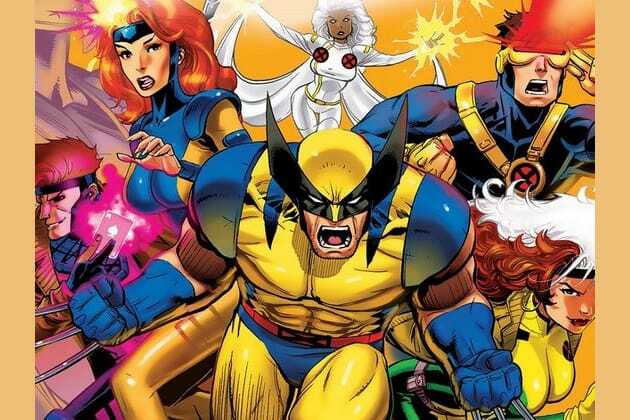 You should have Wolverine's Adamantium-plated skeleton and claws. Du solltest Wolverines adamantiumbeschichtete Klauen haben. You've got a temper, a loner's personality, and a wish that you were never given a superpower in the first place. You and Wolverine have a lot in common, so chances are you'd love an Adamantium skeleton as much as he does. Du solltest wie Cyclops Laserstrahlen aus deinen Augen schießen können. You were born to lead, and you're focused and well-studied. It makes sense that you'd do well and be disciplined enough to harness the powers of Cyclops. Du solltest Deadpools Heilkräfte haben. You walk to the beat of your own drum, love having a good time and don't mind killing if it means accomplishing your mission. You're a lot like Deadpool, and his healing powers are going to be very valuable to you. Du solltest Hulks Fähigkeit haben, ich in ein grünes Biest zu verwandeln. You're a thinker at heart, but you can't help the fact that you get angry. And they won't like you when you're angry. Du solltest Spidermans Fähigkeit haben, an Oberflächen zu haften. You're young, free-spirited and have a true heart. You're also dying to be considered part of the team, not unlike Peter Parker's quest to become an Avenger. It makes sense that you'd make a good wall crawler. Du solltest Magnetos Fähigkeit haben, Metall zu manipulieren. You fall in line behind nobody, and you aren't opposed to breaking rules on your way to ultimate power. You're a lot like Magneto, which is a good thing. After all, he can control metal with his mind. Du solltest Captain Americas übermenschliche Kräfte haben. You're the hero many aspire to be. No matter what, you try to do what's right and see yours powers as a blessing you can use to make the world better. Just like Captain America, you would put that incredible strength to use. Es gibt so viele Superkräfte im Marvel-Universum. Welche würde am besten zu dir passen? Es gibt nur einen Weg, um das herauszufinden: Dieses Quiz!